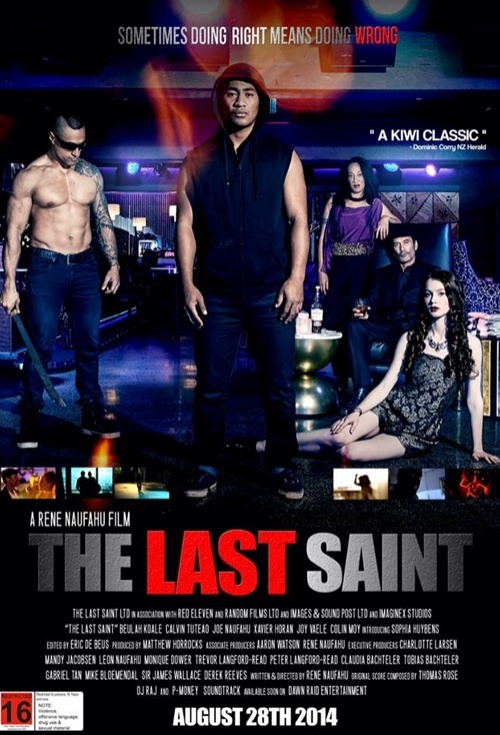 Having suffered numerous rejections for funding, writer-director Rene Naufahu turned to crowd-funding and many, many favours to get his debut feature The Last Saint made. The relentless passion Naufahu and his crew had for this story can be seen in the finished film, which impresses on a number of levels. However, the technical budgetary constraints weigh the film down, with the limited lighting and sound design being sorely evident in particular spots (mainly outdoor night scenes). It’s incredibly frustrating, because The Last Saint could had stood as tall as The Dark Horse and What We Do in the Shadows in this year of great Kiwi cinema – had someone actually funded it. The film follows Minka, a kindly Polynesian teen whose dire circumstances shove him into his father’s drug-dealing ring. Through his eyes, we see Auckland’s ugly underbelly filled with meth-smokers, Ponsonby prostitutes and baseball bats to the face. Beulah Koale impresses greatly as Minka, making you feel the depths of despair his character plunges into with an explosive rawness in his performance. The supporting cast also deliver top-shelf performances, but the most dominant figure is the gun-toting, techno-pumping, shades-at-night-wearing P-dealer named Pinball, played by Rene’s brother Joe whose lively and intimidating performance bursts out the screen almost as prominently as his abdomen. The plot has issues: the climax hinges on a giant coincidence and the key romance relies on two overly-long montages that feel more trivial than tantalising. However, the story’s strengths outweigh its weaknesses, cinematically exemplifying the horrors of P and P culture in a way that can only be told by New Zealanders. Alongside a meaty soundtrack that includes an original score from P-Money, Naufahu achieves some striking imagery at times, no image being more frightening than three tweaked Tongans signing a graceful hymn around a tortured body.